Prepaid cards, also known as prepaid debit cards, have grown in popularity over the last several years. 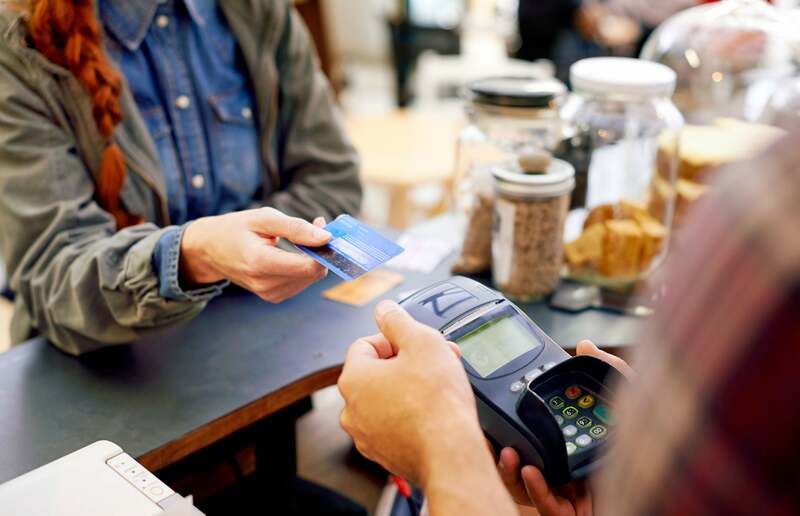 In fact, the global market for prepaid cards is projected to reach $3.1 trillion by 2022, according to an April report by Global Industry Analysts, a business strategy and marketing intelligence source. This projected growth is driven by the “growing need for financial inclusion of unbanked consumers, provision of innovative card features and services, increasing volumes of online transactions and rising demand for cost-effective electronic payment solutions,” Global Industry Analysts said in the report. If any of these describe your situation, here are seven things to keep in mind when considering a prepaid card. The nice thing about prepaid cards is there’s no need to make a deposit that’s held by the bank, as you would with a secured credit card. A prepaid card can be used just like a check, and can be more convenient. There are no interest charges (since it’s not a line of credit), and you can’t typically overspend on a prepaid card. If you’ve reached the limit of your funds, your purchases will be rejected unless you’re using a type of prepaid card that allows overdrafts. Managed carefully, a prepaid card can help you avoid debt and finance charges. There’s typically no credit check for a prepaid card since it’s tied to your money and not a loan from a financial institution. No matter how bad – or non-existent — your credit is, if you have cash to load onto a prepaid card, you can probably get one and use it in place of a credit card. One of the negatives about prepaid cards is, if you lose the card, you could wind up losing the money you loaded onto it. Prepaid cards, unlike secured credit cards, aren’t reported to the three major credit reporting agencies, so using one won’t affect your credit score. That means you can’t use it to help build your credit as you would with a credit card (or a secured credit card). Some merchants might not accept your prepaid card to hold a car rental, hotel reservation or other situation where a security deposit is required. If your card is stolen, you have fewer protections than you would with a credit card or secured credit card. Credit cards are covered under the Truth In Lending Act, which caps liability at $50. Prepaid cards, however, are not covered by that law, and liability for fraudulent purchases can often match that of debit cards, meaning it starts at $50 and can go up from there the longer the fraud goes unreported, but that is voluntary to the card issuer. Remember, whatever kind of card you choose, keeping your spending and/or balances low is key to good financial management. If you want to positively impact your credit scores, it’s a good rule of thumb to keep balances on credit cards at less than 10% of your available credit limit, and 30% max. You can find out how your debt usage ratio affects your credit scores with a free credit report card from Credit.com. If you think a prepaid card is the right choice for you, you can find a variety of offers using Credit.com’s credit card search tool. It’s important to read all the fine print carefully on card offers. Compare any fees involved, including monthly maintenance fees, activation fees and ATM use fees. If you use a card that lets you spend more than you’ve deposited, you could incur hefty overdraft fees. Constance is a former editor at Credit.com. Prior to joining us, she worked as a senior digital producer for CNBC, and digital producer for NBC Nightly News. Her work has been featured on news sites including MSN, USA Today, The Atlanta Journal Constitution, MSNBC, Fox Business News and The Huffington Post.